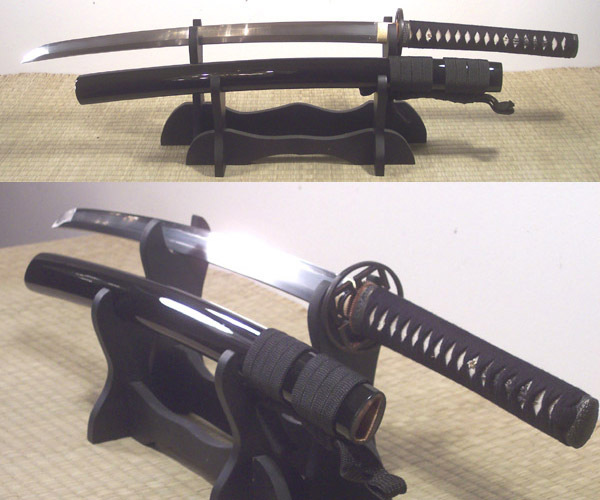 Designed specifically for frequent test cutting (tameshigiri) against traditional targets such as Tatami Omote (Goza) and occasional cutting of other medium-hard targets such as 3"+ bamboo and beyond, Cheness Cutlery have established a reputation for their exceptionally durable and well made blades in humble fittings. 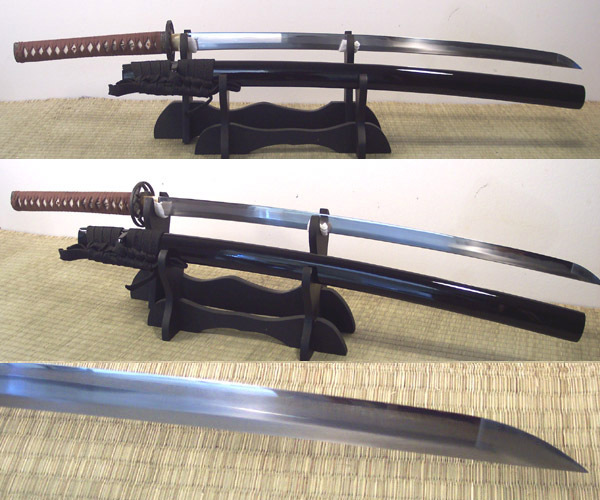 This the first category of 9260 Spring Steel Dojo Cutters, the traditionally made 'Kaze' range (Katana, Ko Katana and Wakizashi), featuring differentially hardened blades with natural hamon. Differentially Hardened Blade with REAL Hamon. Available with Black or Brown Ito. 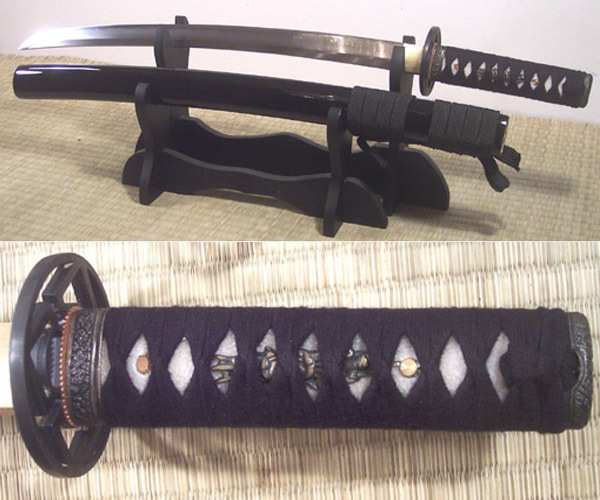 Differentially Hardened Blade - Standard Katana handle and shorter blade for Indoor Use. Differentially Hardened Companion Sword to the Kaze Katana.